2018 Annual Healthplex Associates leadership conference in LA. With the addition of our new site in Indianapolis this week, we are now more than 350 outstanding people strong!!! 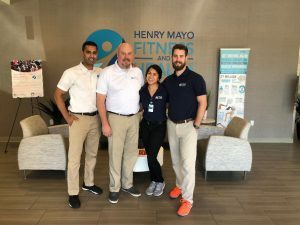 Congratulations to Catherine Francisco, the Henry Mayo Clinical Integration Coordinator was recently named the Rising Star of the West Region by the Medical Fitness Association. This award recognizes outstanding individual achievement and significant leadership within the medical fitness community. Healthplex managed facilities make dreams come true! 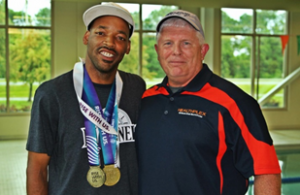 Singing River Healthplex member Gregory Means recently participated in the Special Olympics in Seattle Washington. Means won two gold medals; one in the backstroke, one in the freestyle, and a silver medal for the participation relay. Means began training with Healthplex swim instructor Jim Bourque two months prior to participating in the Olympic games. They focused on improving his swim stroke as well as his kick to help assist in his overall speed. His work ethic and drive to be and do better definitely paid off. We are proud of him and all that he has accomplished. Community Involvement is an important part of our wellness centers. 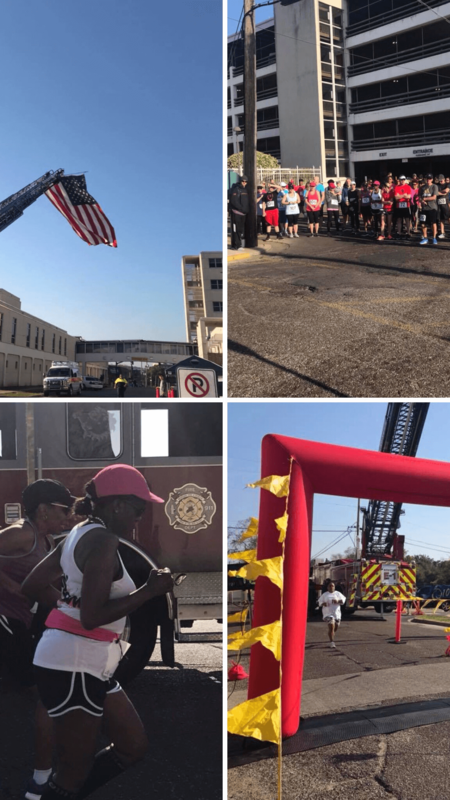 Anderson Health & Fitness Center had their 35th (WOW) annual Anderson Cup Road Race on Saturday, April 21, 2018. The race was hosted by Total Pain Care. 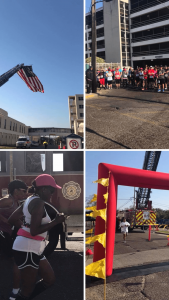 Participants were able to choose from a 5k run, a 2 mile walk, or a 1 mile fun run. 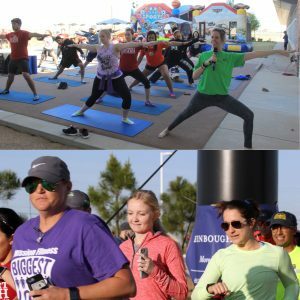 There were 150 total participants in the event. It was a fun day for the City of Meridian. Following the race, there was an awards ceremony and 12 door prizes given away. 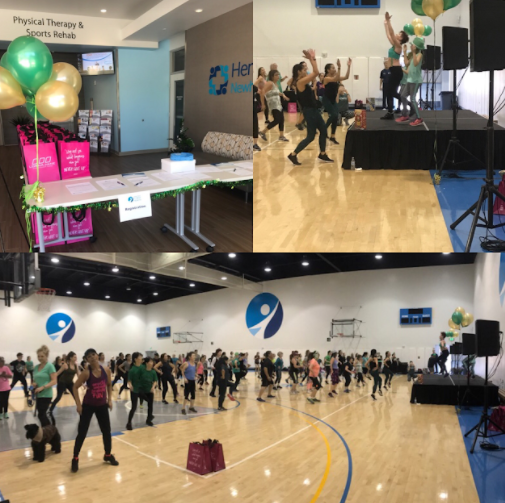 Henry Mayo Fitness and Health had over 300 participants at their St. Patrick’s Day Zumbathon! This event helped raise money for the hospital’s foundation and was a huge success! 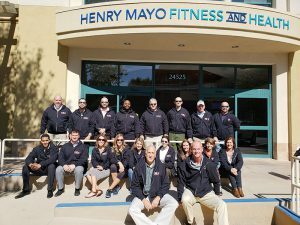 Healthplex is proud to be a part of this amazing team! 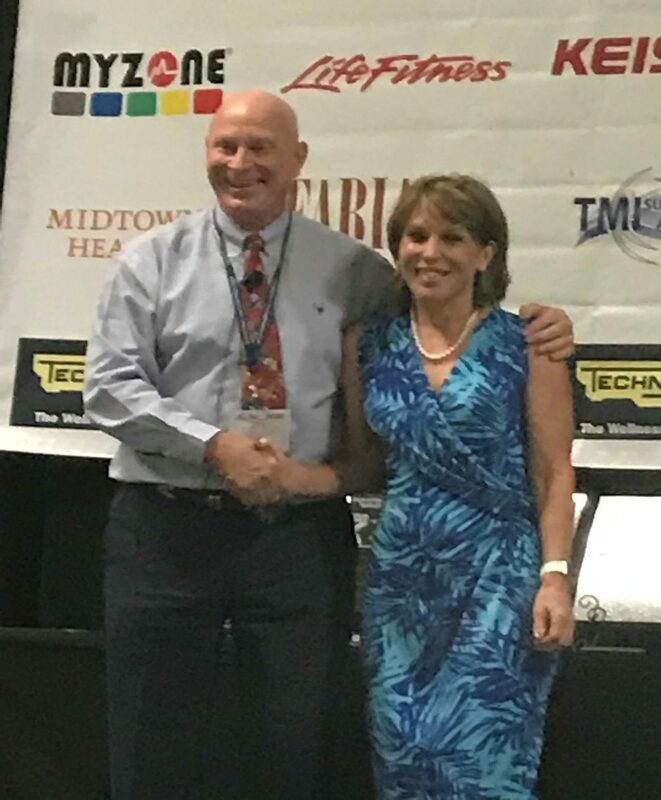 Lynn Robbins is congratulated by Kevin Hughes who presented the award to HPA on behalf of the Medical Fitness Association. HPA is proud to announce that it has received the “Medical Fitness Association Excellence in Consulting Award: For Best in Class in Industry Consulting”. The award was accepted on behalf of the Company by Lynn Robbins, EVP, CPA, FMFA during MFA’s annual conference in November. HPA specializes in Medically Based Wellness Centers which are part of a Hospital’s Population Health Strategy. HPA was recognized for the consulting and management services provided to hospitals and health systems.